I’m happy to note that we’re putting up new radios in Everett. The plan is to provide free but limited Internet access to neighbors and sell service to those who need a “fatter pipe” as the kids say. We’ve been running a repeater for over a year now. 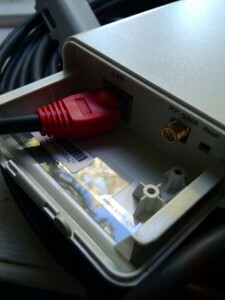 It doesn’t provide access to the Internet, but allows anyone who can see the repeater to exchange IP packets. 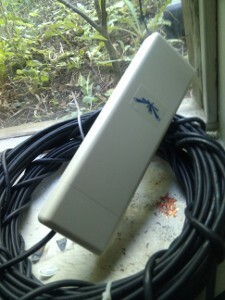 We plan to install two new “NanoStation 2” devices this weekend on Walnut Street. It will be fun. I’ll flesh this post out after the event. In the meantime, here are some pics of the hardware. This entry was posted in colliertech, ewn, Hardware, linux, Networking, wireless. Bookmark the permalink.